"Determined people working together can do anything." Share the fun and create your own class or workshop! 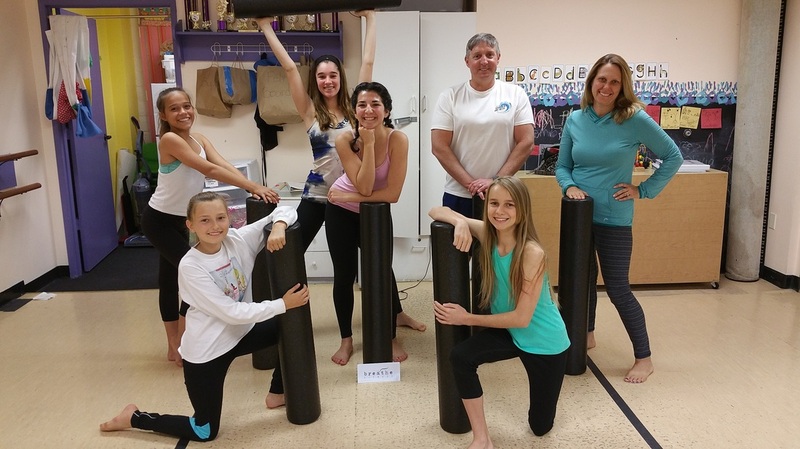 Classes and/or Workshops can be customized for small groups, special populations, corporate wellness, youth sports teams, or just you and some friends. Specific programming will be based around your personal needs and goals. Business Specific: Service Industry, Hair Stylists, Mechanics, Computer Programmers, Teachers, Retailers, etc. Contact Robin for more details and special requests. "If you use your body for work or play, you need Robin!" - Renee V.
Why settle for getting your old body back when you can create an even stronger one? This postpartum class will help your body recover and rebuild from the stresses of pregnancy, delivery, and parenting. 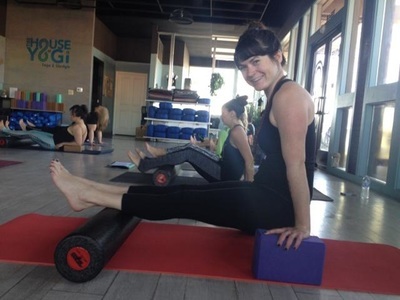 It is pilates-based with corrective exercises, foam rolling, and breath work. This class was specially designed to help new moms reconnect to their core, rebuild their strength, and bring more awareness to their movements throughout the day. This class hopes to inspire moms to bring the work out of the studio and back to their daily life and activities. Babies Welcome! This class will cover how to get the most from your baby gear, techniques to prevent repetitive stress injuries common to new parents and self-care exercises to manage the aches and pains when they arise. You'll learn practical exercises to protect your body from further breakdown and tips on how to integrate them into your everyday routine. You will leave this class with a greater awareness of yourself, how you interact with your baby, and some new tools for self-care that can be applied right away. Baby gear can be a game changer... or a back breaker! Make sure that your carriers, strollers, and other baby gear is set up to help you instead of hurt you. Bring your gear for feedback! 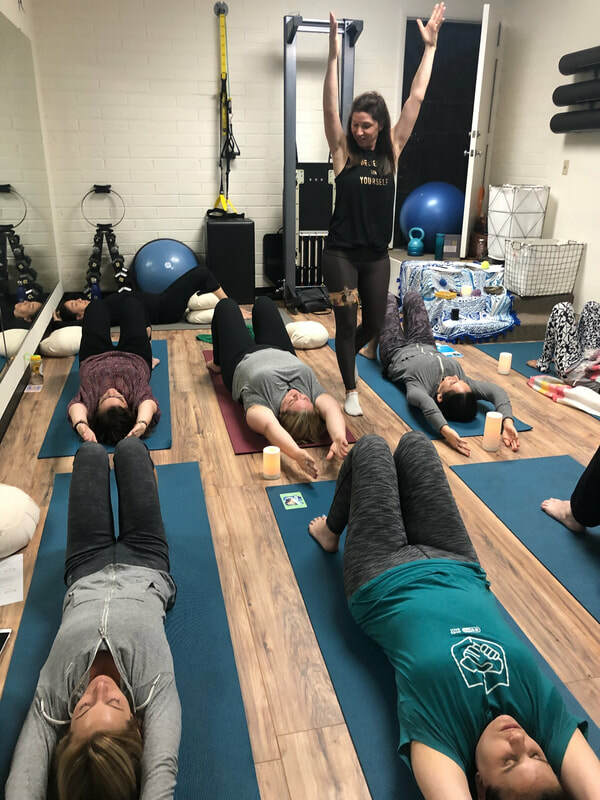 Join Breathe Fitness owner, Robin Naughton, and Reiki Master Energy Healer and Postpartum Doula Katie Malone from Moonstone Momma to take some time out for yourself. You deserve it! As moms, all too often we put self-care on the back burner and don’t take the time to do things for ourselves until we are completely burnt out. Let us help you fill your cup with an hour and a half of relaxation and connection! Robin and Katie will walk you through gentle movement, breath and meditation exercises to improve posture, remove energetic blockages, and help bring your physical, energetic and spiritual bodies back to a state of relaxation and peace, leaving you feeling both rested and energized! All ladies will receive Reiki energy healing and an oracle card reading as well (if desired)! Please wear comfortable clothes and don't forget your water and journal. Bonus! All attendees will also leave with a self-care goodie bag.